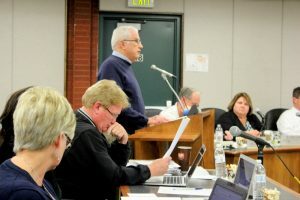 Although not taking credit for the decision, SVSD Board President Bob Smith told a standing room only crowd at the meeting that no school trips to the former Rocky Flats Plant would be authorized. On March 14, 2017 Boulder Valley School District (BVSD) became the first locally to prohibit school field trips to the former nuclear weapons production site. From 1952 to 1989 the US Department of Energy (DOE) produced plutonium pits for the US nuclear arsenal. Rocky Flats operated under the supervision of the US Atomic Energy Commission (AEC) and later by the US DOE. Following a series of explosions and years of high-profile protests against Rocky Flats, the facility eventually closed in 1992. A clean-up effort began soon after, but those from organizations who have closely monitored the effort say that a clean-up is impossible given the level of radioactivity, and that the area should be closed off permanently. Even housing construction close to the site in the Candelas neighborhood was met with resistance when informational sessions and protests hoped to at least raise awareness, if not prevent any construction so close to the former plant. 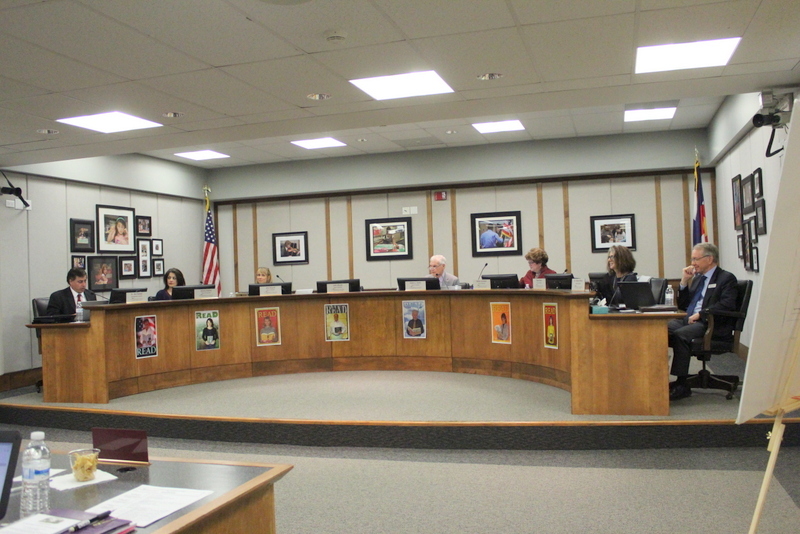 Dr. Gale Biggs tells the board of SVSD that Plutonium moves both vertically and horizontally and therefore migrates to the surface which schoolchildren could then breathe while on a school trip, if field trips were not banned to the area. Anne Fennerty, a member of Rocky Flats Citizens’ Advisory Board talked about the wildlife refuge site that the Department of Wildlife acquired from the Department of Energy against harsh public criticism. Members of the public said that relegating the Superfund site for a wildlife refuge absolved the Department of Energy from a more costly and extensive cleanup that would be required of a cleanup necessary to create a habitable area next to the site. In addition, Haddad assured those concerned that there have not in the past been field trips to Rocky Flats. This entry was posted in Climate Change/Environment, Education and tagged Rocky Flats, st vrain school district. Bookmark the permalink.